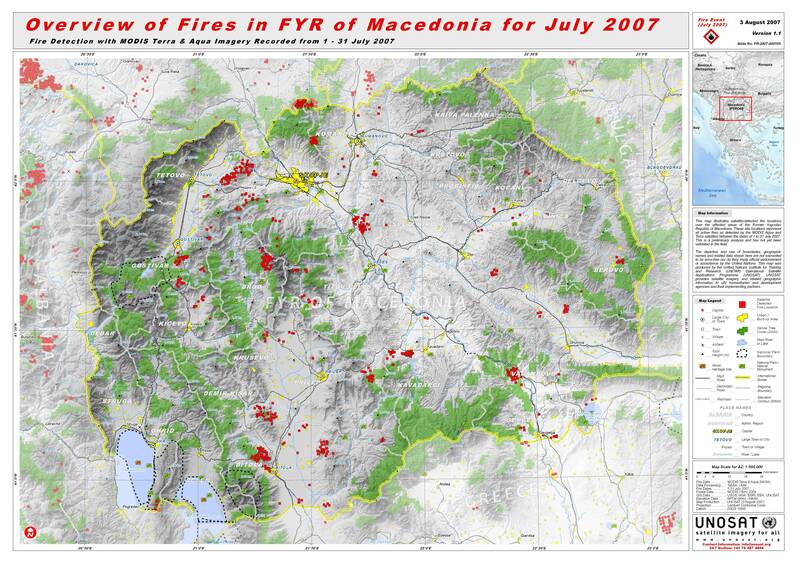 This map illustrates satellite-detected fire locations over the affected areas of the Former Yugoslav Republic of Macedonia. These site locations represent all active fires as detected by the MODIS Aqua and Terra satellites between the dates of 1 to 31 July 2007. This is a preliminary analysis and has not yet been validated in the field.